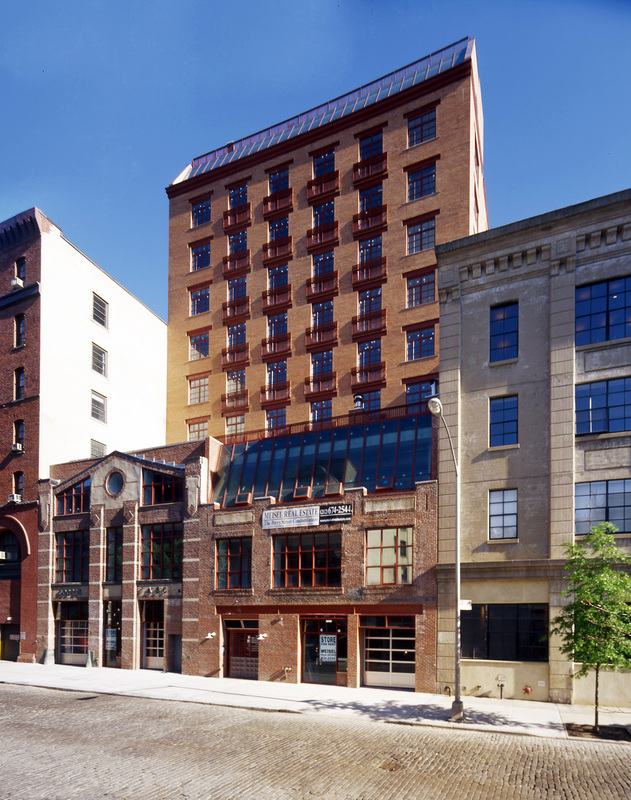 New York City’s West Village neighborhood presents a historic architectural fabric that inspired LHPA in designing this 11-story mixed-use condominium complex. The modern tower incorporates an existing structure, which has been given over to the new building lobby and to retail. 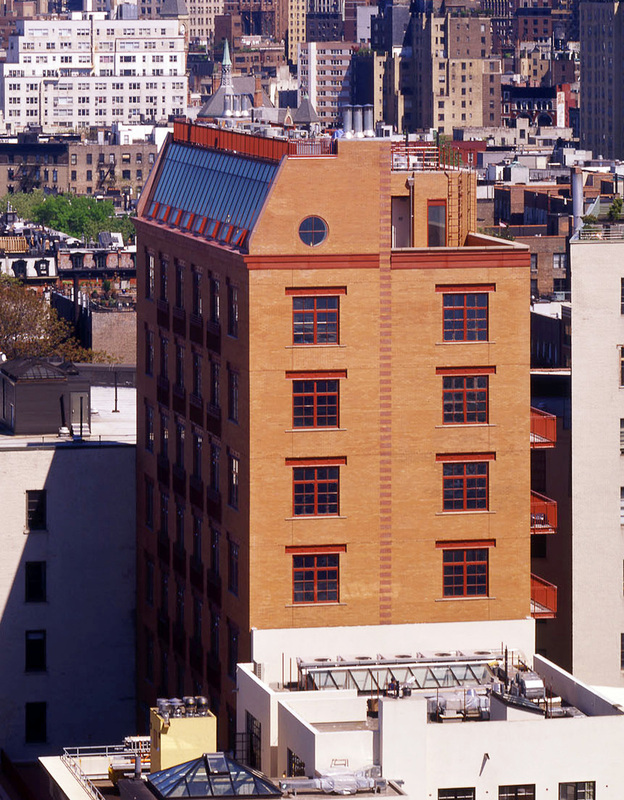 To preserve as much as possible of the historic structure, the façade of the building’s first two-and-half floors are clad in the red brick of the original structure. 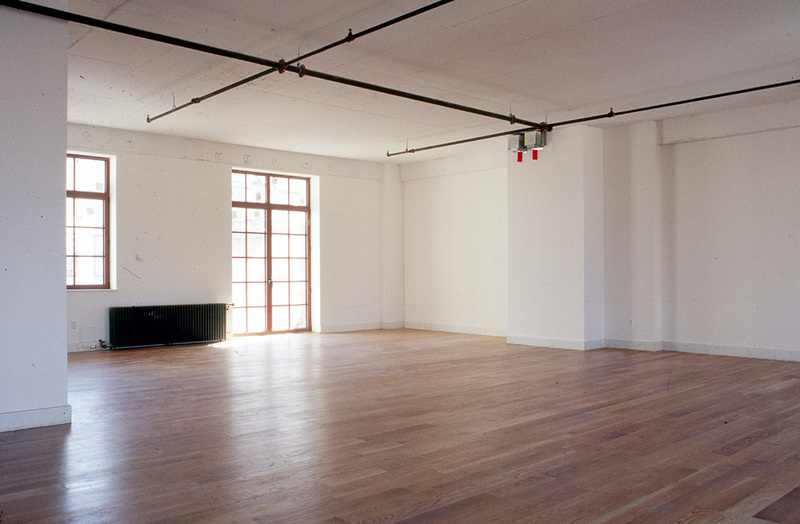 The building offers a combination of commercial work/live lofts on the second and third floors and residential lofts on the upper floors ranging from 2,700 square feet to 4,800 square feet. The top two floors contain a duplex penthouse apartment. All of the interiors offer bright, open environments that allow residents to customize their units. Ceilings of 12 feet are complemented by large windows on all four sides of the building, creating living spaces that are more like studios than conventional city apartments. Other important features include high-tech electronic services and security; fireplaces and elevators that open directly into each resident.